Phyllis Wilhem in animal nutrition lab at Agriculture Canada. Women have ALWAYS made important contributions to science, technology, engineering, and mathematics (STEM) yet gender inequity persists. 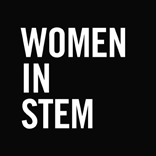 Ingenium recognizes that addressing the underrepresentation of women in STEM is a complex issue requiring multiple long-term and sustainable strategies. With this initiative we aim to make women in STEM more visible, to promote careers for women in STEM, to highlight issues of gender inequality and to celebrate achievements and advocates. We also aim to shed light on persistent, often implicit, gender biases in order to improve women’s participation, inclusion, leadership and recognition in STEM.